Southeast Alaska photos of towns along the Inside Passage. 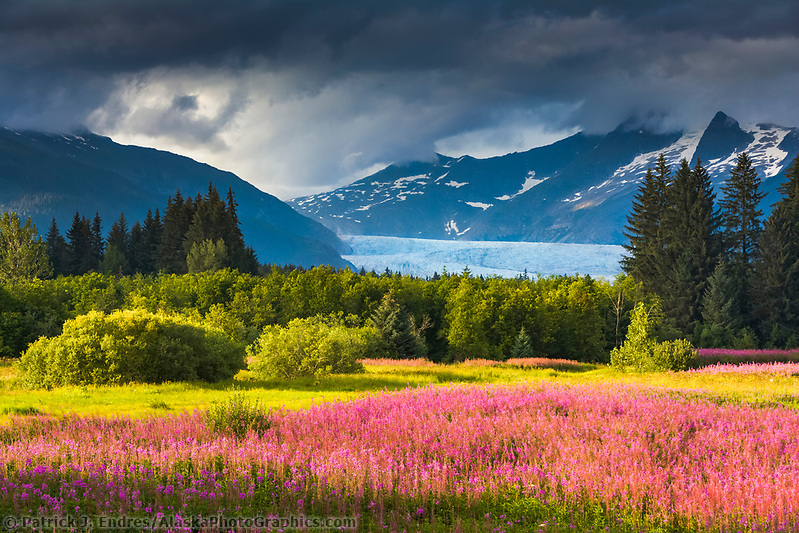 The Southeast Alaska photos below present a region of Alaska famous for its tremendously lush forested island and inland water passages that weave through the great panhandle. 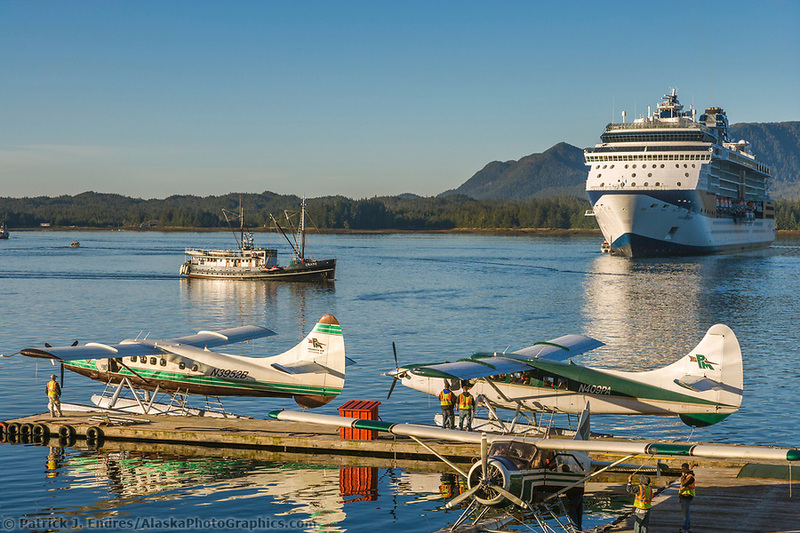 Most towns in southeast Alaska are accessed by plane or Alaska marine ferry as no commercial roads will take you there. 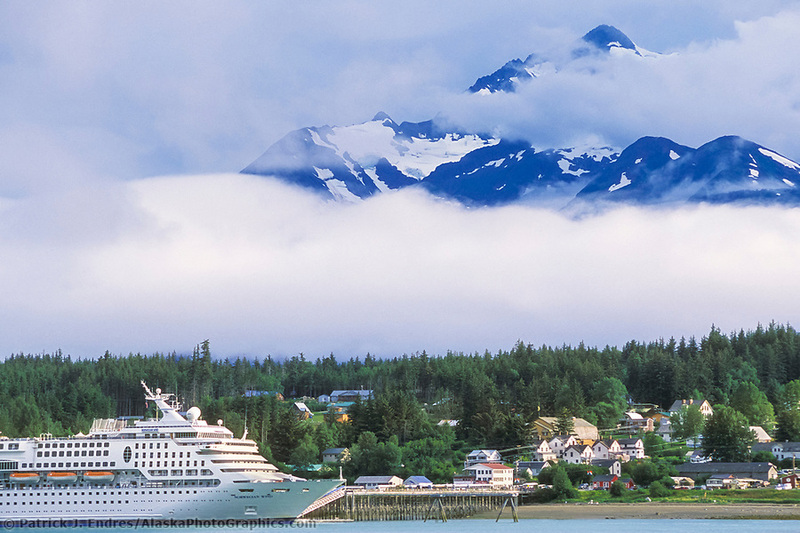 These towns have become popular destinations for tourists aboard large cruise ships that make stops along their journey north. The photos below can be licensed for commercial use or purchased as fine art prints for your home or office. Click on the respective photos and links for purchase information. 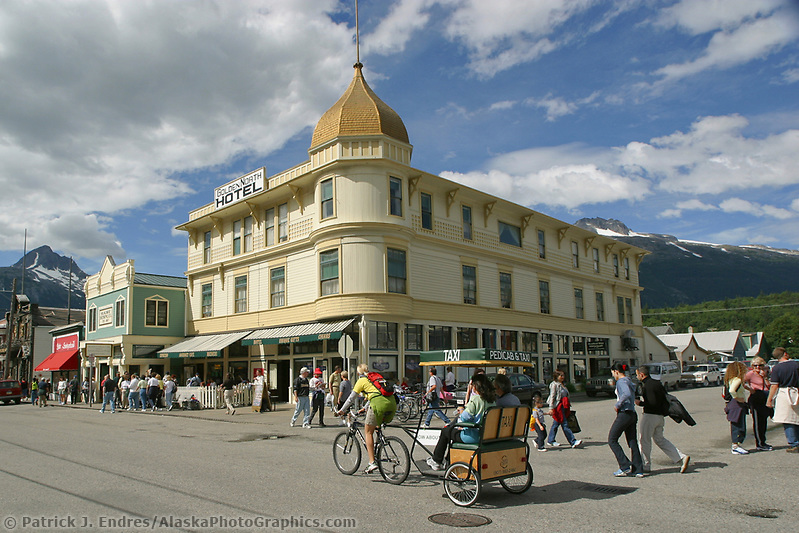 Skagway, located at the end of the Lynn Canal, used to be Alaska’s largest city in 1989, with a population of 10,000 people. Today, about 900 people make up the population which booms in the summer months due to the popularity of the historic city as a cruise ship tourist destination. 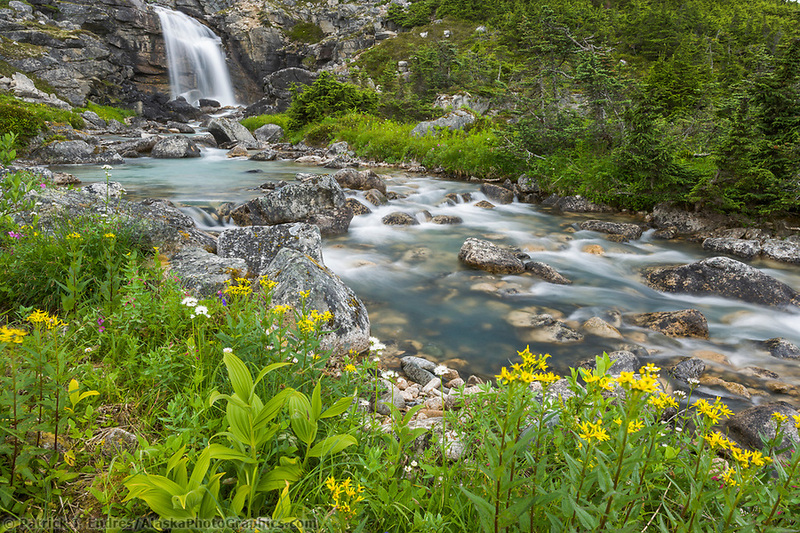 The town is accessible by road and railway, specifically the Historic White Pass and Yukon Route narrow gauge iron trail which was born of the 1898 Klondike Gold Rush and built through some of the North’s most ruggedly beautiful terrain. 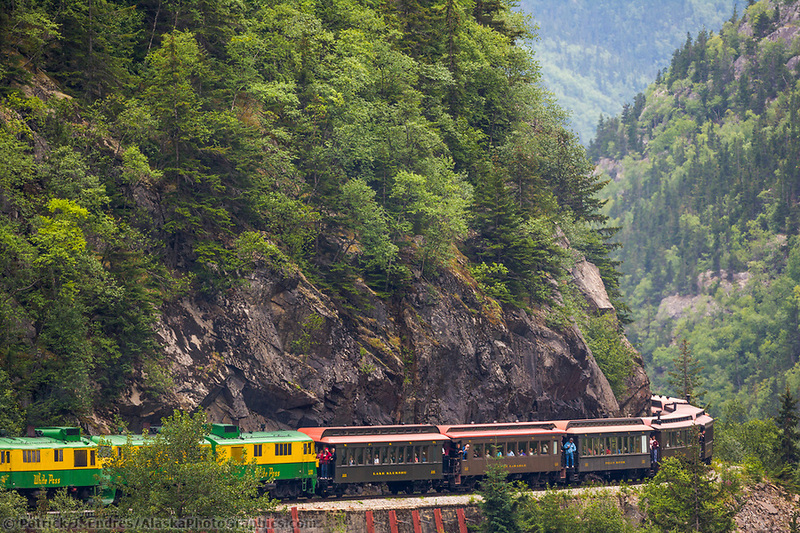 Refurbished train cars take passengers along the original route of the hopeful gold rush stampeders of 1898. 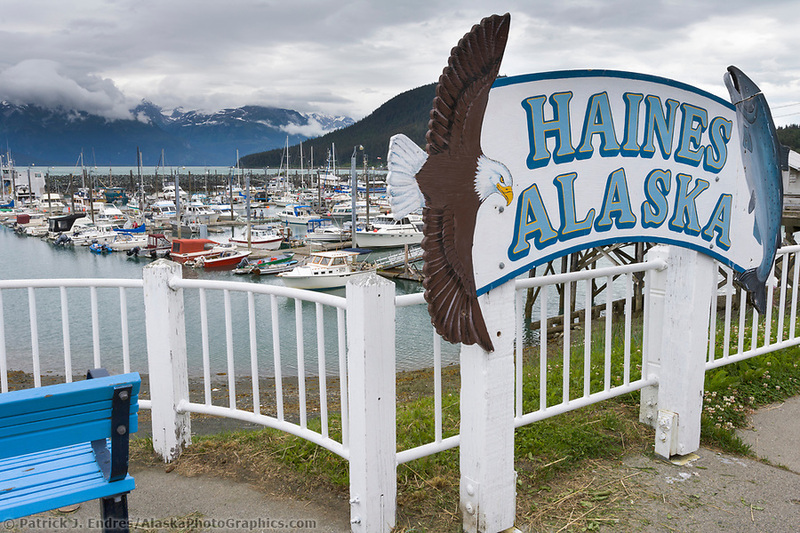 Haines is located on the shores of the Lynn Canal between Juneau and Skagway, on the northerly portion of the Alaska panhandle. It is one of the few southeast communities accessible via road. 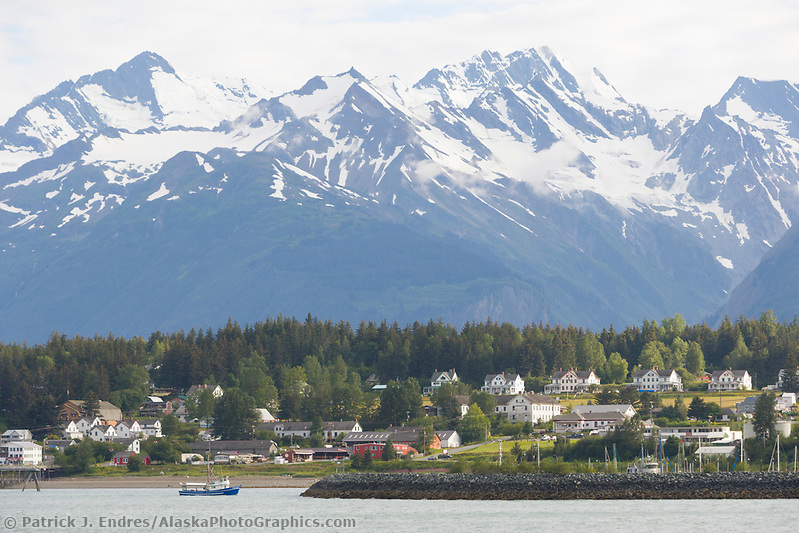 The town is flanked by the majestic Chilkat Mountains. Attractions include wildlife, outdoor adventure, fishing, hunting, the American Bald Eagle Foundation and respective Bald Eagle festival, and native culture. 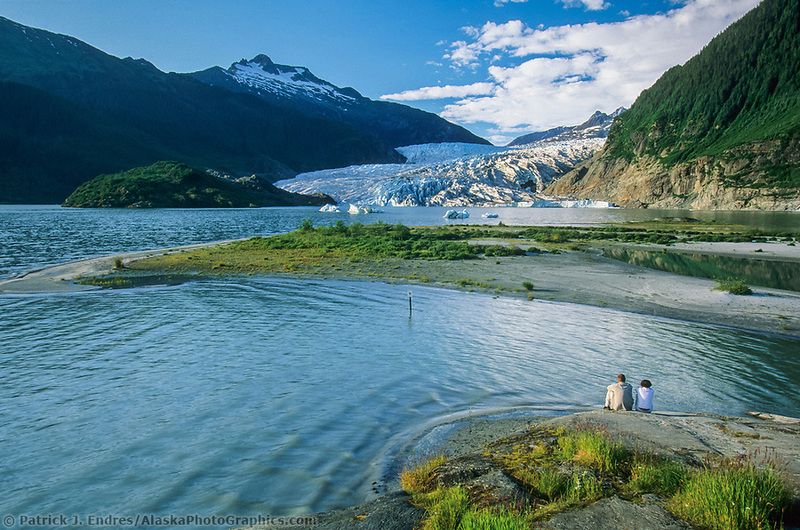 Juneau is Located on the Gastineau Channel on the Alexander Archipelago. 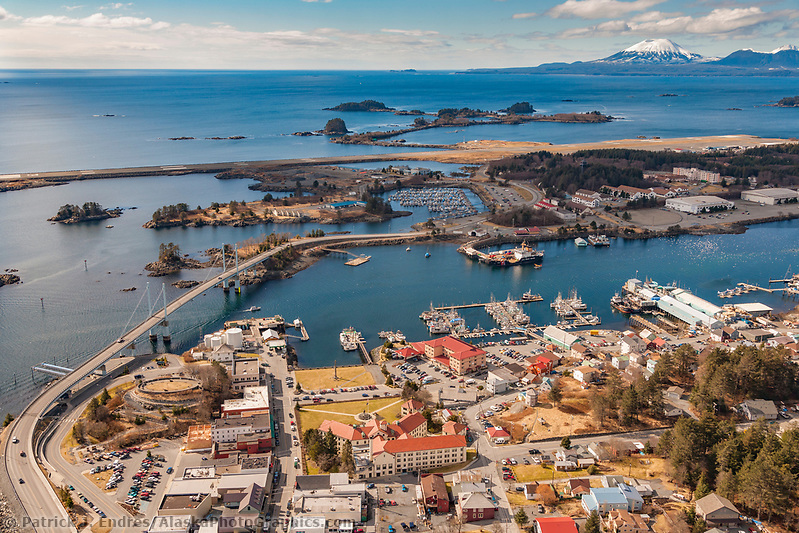 It has been the capital of Alaska since 1906, when the government of the then-Alaska Territory was moved from Sitka. 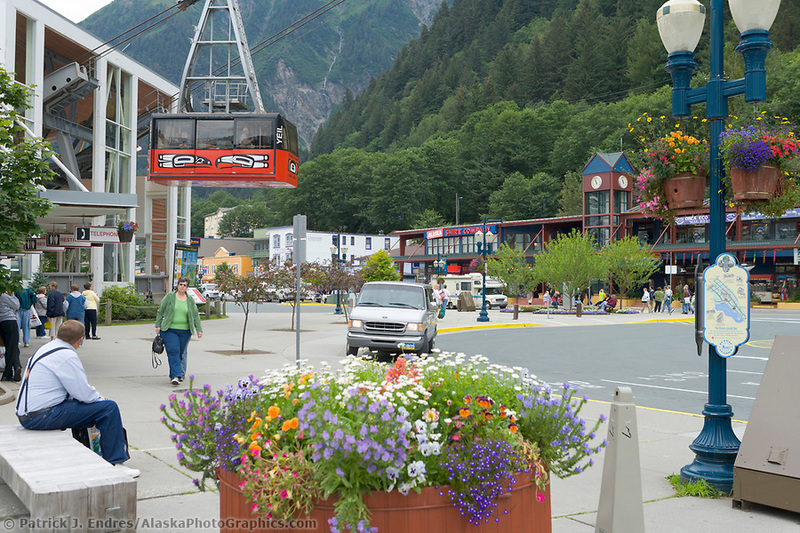 Juneau is only accessible by sea or air, with no road access. 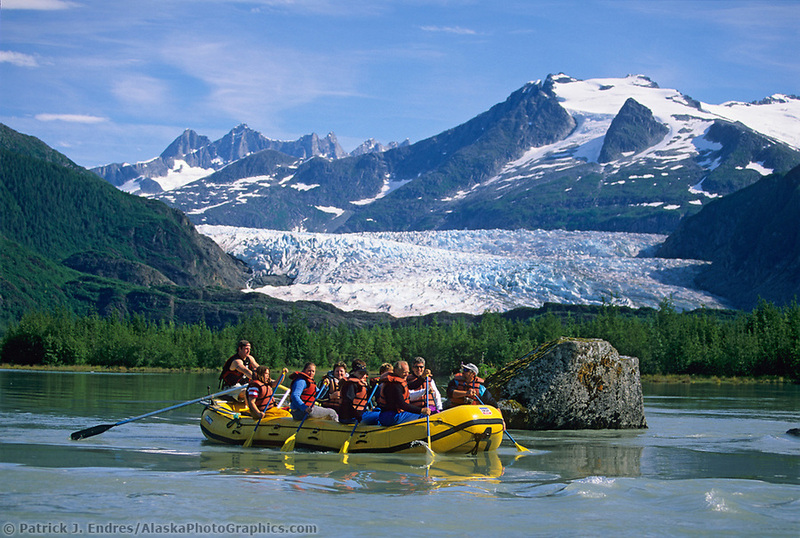 It sits at sea level flanked by steep mountains and glaciers, including the Mendenhall Glacier. 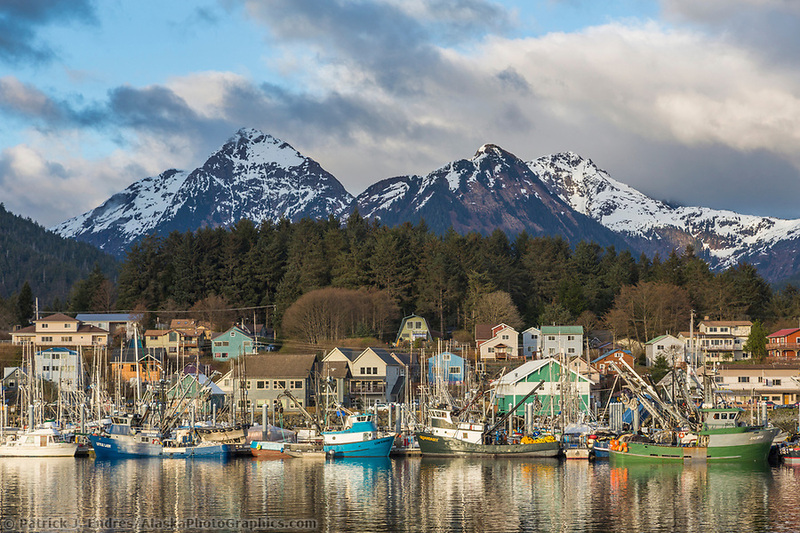 Situated on the west side of Baranof Island, Sitka is flanked on the east by snow-capped mountains and on the west by the Pacific Ocean. Southeast Alaska photos of this quaint and popular seaside community are highly favored since it embodies a classic Alaska community with a unique history. Sitka National Historic Park preserves and interprets the site of a Tlingit Indian Fort and the battle fought between the Russians and the Tlingits in 1804. Sitka is also central to the commercial fishing industry which includes the Sac Roe Herring fishery. 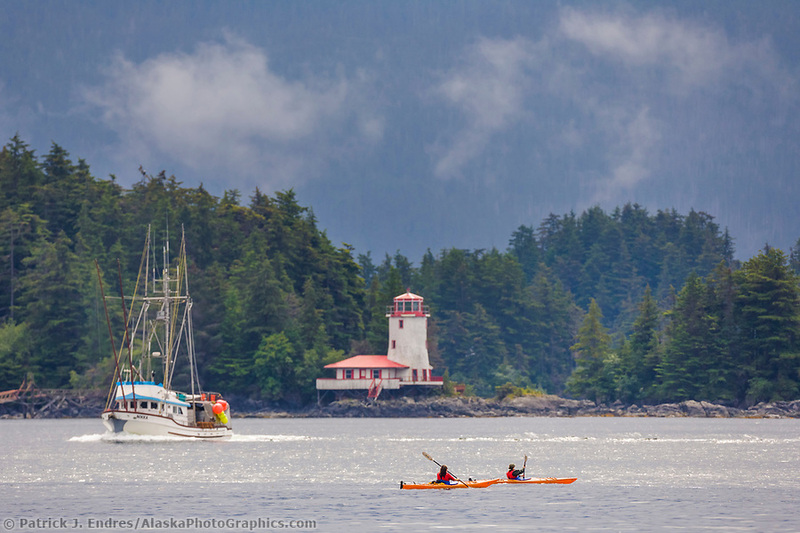 See the Sitka photos page for more information. 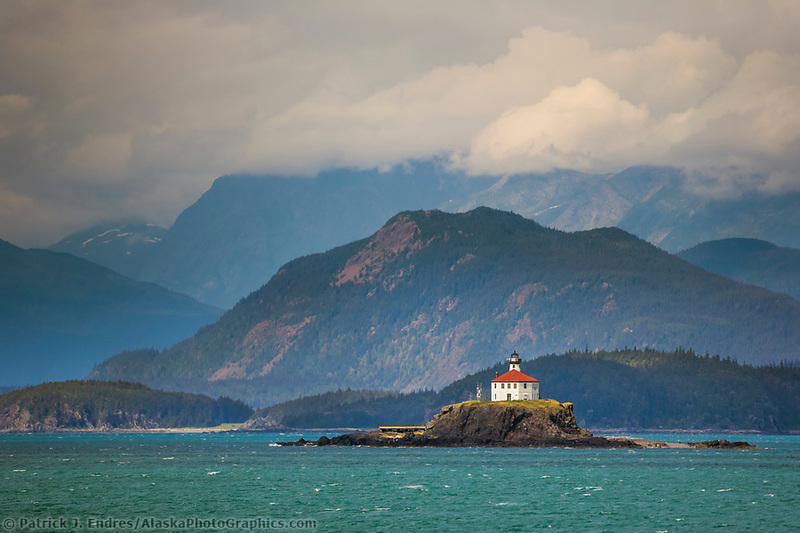 Ketchikan, known as the Salmon capital of the world is situated five hundred miles north of Seattle. 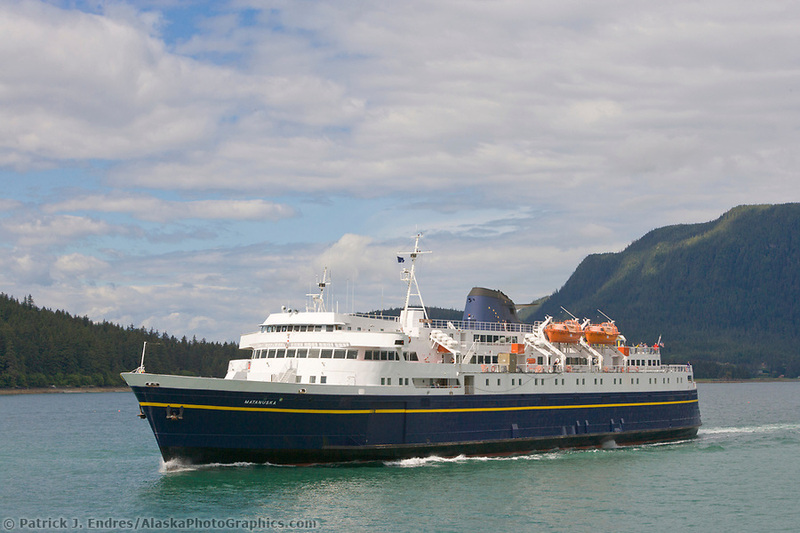 It is Alaska’s “first city,” and serves as the first port of call for many cruise ships visiting the state. 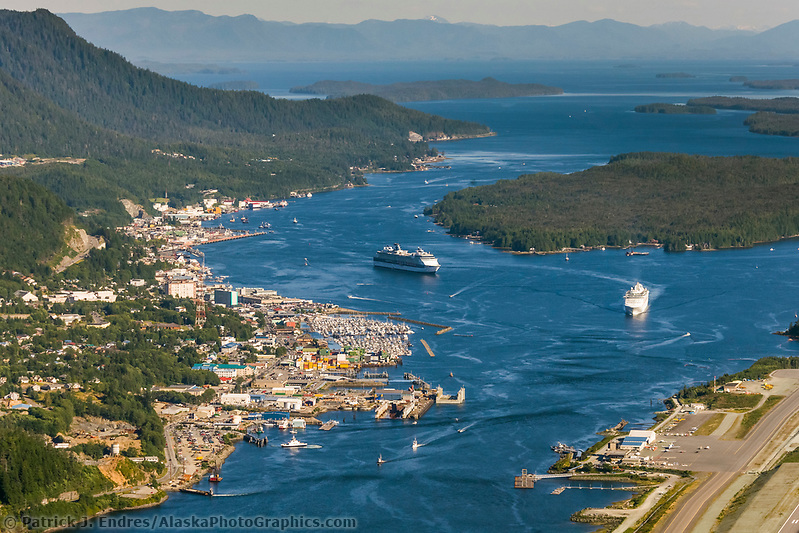 The population of Ketchikan is approximately 8,000 people. Tourism and fishing are the main industries in the city. 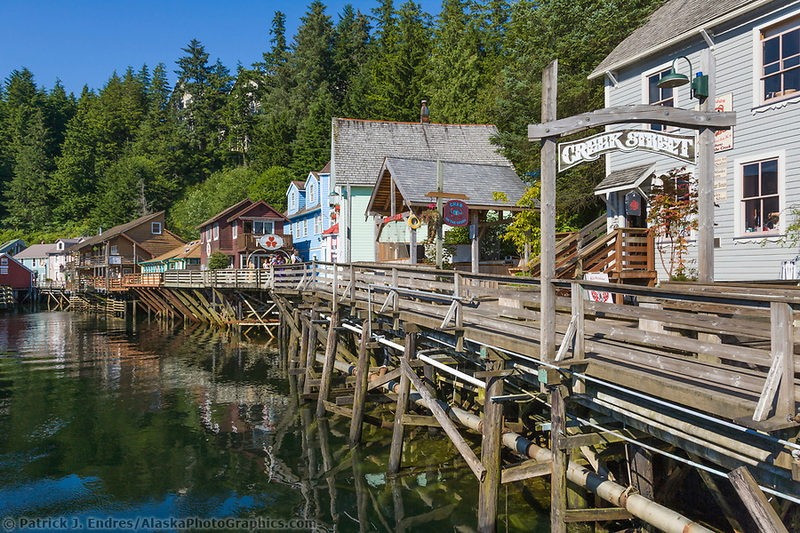 Many visitors enjoy the historic downtown Ketchikan area and view totem poles in a variety of locations including Totem Bight, and Saxman Village. 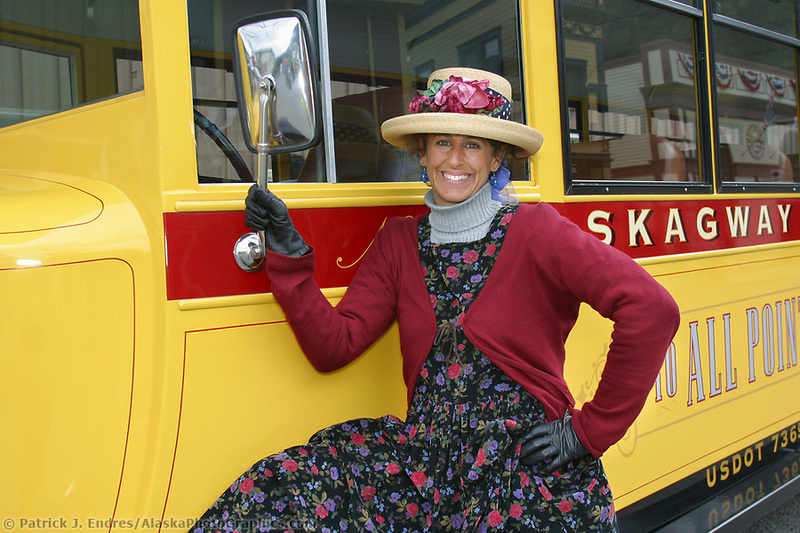 Please visit my Ketchikan photos page for more information.